Family Circle Just $4.69 A Year (versus $24 cover price yearly)! You are here: Home / Great Deals / Family Circle Just $4.69 A Year (versus $24 cover price yearly)! 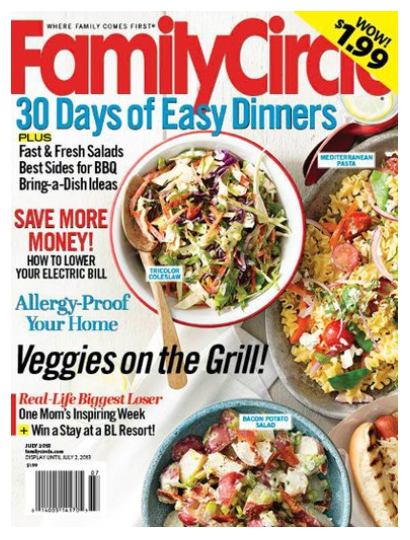 Family Circle Just $4.69 A Year (versus $24 cover price)! The subscription price has dropped since we last posted! You can snag Family Circle for Just $4.69 A Year (reg. $24 a year)! This is jam packed with awesome recipes, decorating ideas and family fun! There is no coupon code needed!